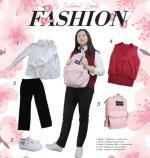 copyright ⓒ숙명타임즈 all rights reserved. The 2018 PyeongChang Winter Olympics and Paralympics, festivals open to athletes around the world, ended in great success. What was the most memorable event of the Olympics? Do you recall the joint parade of Team Korea at the opening ceremony? Everyone was impressed. Until that moment, the nation had been rocked with issues between the North and South. 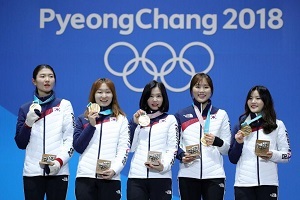 The PyeongChang Winter Olympics, however, managed to ease much of the tension and showed the world a more peaceful relationship between the two countries. As a result, this Olympics is known as the 'Peace Olympics', for it united the two Koreas, nations separated economically, socially, geographically, and ideologically. Throughout this year’s Olympic Games, various keywords frequently popped up and spread throughout the nation. The Games also created various thrilling events that exemplified the Olympic spirit and brought the Games closer to home. 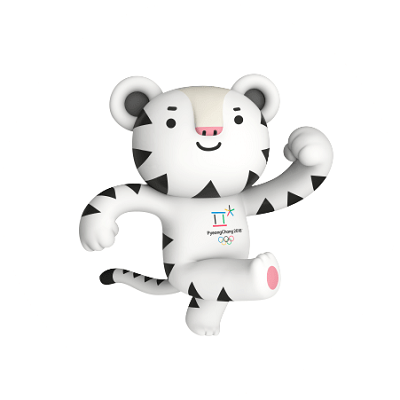 One way that the Olympic spirit was shown was through the official PyeongChang Winter Olympics mascot, Soohorang. More than 165,000 badges, including those featuring Soohorang and Bandabi, and about 240,000 dolls were sold.1) The cute and friendly appearance of the character throbbed the hearts of people all over the world. Also, the world was in awe at the scale and beauty of the opening ceremony event. Among the many memorable events were the Olympic rings formed by drones, the human-headed bird, Tonga Man, never-ending dance performances by volunteers, and Kim Yuna lighting the Olympic caldron. Also, the parade of nations was sequenced in the order of the Korean alphabet, which is something not all nations can do since not all nations have their own writing system. Meaningful games took place as well. Korean athletes finished seventh overall, successfully representing the best our nation has to offer in sports. Events such as the Women’s Short Track Relay, Mass Start, and Skeleton were big hits. 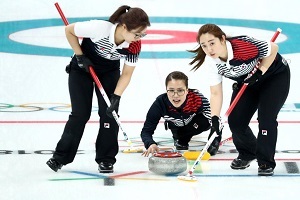 Besides these, the popularity of ‘Team Kim’ of Women’s Curling was sensational. On their journey to silver, they caught the attention of the world, often referred to as the ‘Curlvengers’ and ‘Garlic Girls’. Also, saying ‘Yeongmi (the name of the player in the lead position)’ became popular among people due to Kim Eunjung (the skip or skipper of the team)’s shouting. The 2018 PyeongChang Winter Olympics is praised for its great success in other areas as well. Outstanding results showed how cost effective an Olympics can be. 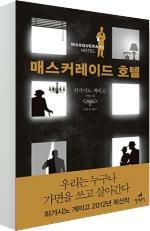 In particular, the opening ceremony only cost 668 million KRW. This is only 10% of the cost that went into the opening ceremony of the 2014 Sochi Winter Olympics.2) Despite the low budget, the opening ceremony was of exceptional quality. What also left a great impression of PyeongChang and Koreans was the hospitality and convenient services. A survey on hospitality of 3,000 tourists done by Gangwon-do Province showed that 62% of tourists claimed they experienced ‘extremely hospitable’ service and another 32% said it was ‘hospitable’.3) However, the biggest success has to be the improved relationship between the North and South Korea. Without a doubt, many experts and politicians around the world are honoring President Moon Jae-in with the gold for this Olympic Games. Joseph DeTrani, former CIA analyst, said, “Moon Jae-in has not only taken the lead, he’s taken the lead and run with it in a very impressive way. He has handled this brilliantly,” sharing his thoughts on the progress of relations between North Korea and the U.S.4) The PyeongChang Games has provided a chance to ease tension between nations and even limit provocations by the North. With all eyes and ears that were focused on the two Koreas, February 9 is a day that will go down in history. North Korea and South Korea entered the stadium together as ‘Team Korea’ at the opening ceremony. It was the first time in thirty years for the two Koreas to enter as one team, and the athletes did so waving the Korean Peninsula flags. The last time this happened was at the 1988 Seoul Summer Olympics. The nation and the world were touched by symbolization of unification and peace. 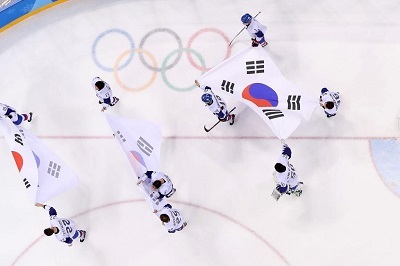 Another major event that showed the two Koreas working as one was Women’s Ice Hockey. Despite conflicts and problems prior to the Games, players set those issues aside to learn to play as a team. The results were not that great, but the fact that the two nations worked as one was like winning a gold medal. To make it even better, Team Korea scored a point against Team Japan. The goal excited the entire nation, and it will be recorded in Korean sports history as one of the most memorable moments in time. 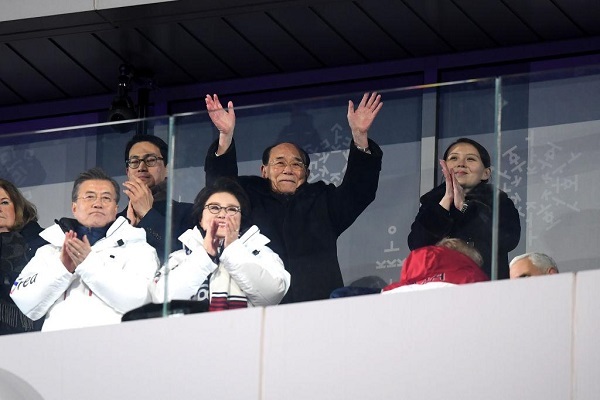 Visits by Kim Yo-jong, Kim Jong-un’s younger sister, and Ivanka Trump, Donald Trump’s daughter, were also attention grabbing. North Korea and Kim Yo-jong’s presence at the PyeongChang Games surprised the world. Their visit sealed the fate of the PyeongChang Winter Olympics to be forever remembered as the ‘Peace Olympics’. On the other hand, Ivanka Trump’s visit highlighted the anxiety the U.S. The betterment of the two Koreas’ relationship through the Olympics put the U.S. on pins and needles. Peter Apps, Director of Project for the Study of the 21st Century (PS21), pointed out, “If the U.S. was to strike now, while communication between North and South is improving, it might look like an unjustified aggressor, risking regional disaster just as peace seemed possible.”5) However, North Korea must make a choice as well. For Kim Jong-un to maintain political power, he must continue with his nation’s nuclear weapon development, but that would only be possible by breaking peace with the South. All in all, the two nations' difficult situations show South Korea’s diplomatic measures towards peace were successful this time. The Olympics brought many significant changes that will affect the whole world. First, the Koreas succeeded in establishing the 2018 Inter-Korean Summit, the first ever since 2007, when Former President Roh Moo-hyun met with Kim Jong-il in Pyeongyang, North Korea. Already the significance of the meeting has been spoken through the mouths of many. After learning about the North-South meeting, Thomas Bach, President of the IOC, expressed satisfaction, “It’s surprising how fast the two Koreas were able to work this out. Since the only way to come up with solutions and agreements is to get together on one table, this summit meeting holds great value.”6) The speed and ease to which the two nations were able to agree upon a meeting after the Olympics is certainly impressive. Another astounding effect of this year’s Winter Olympic Games is that it caused the leader of North Korea, Kim Jong-un, to extend a hand to the U.S. 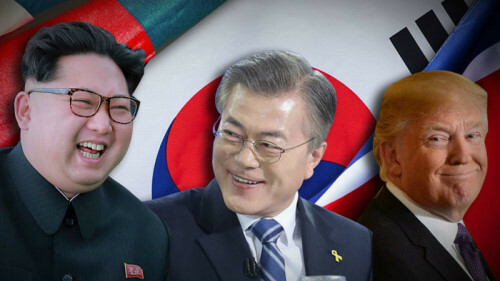 The summit meeting between the two nations has yet to fix a date, but Kim and Trump will get to meet each other for the first time. Actually, this is not the first time the two nations have attempted to communicate. Back in 2000, when Kim Jong-il was the leader of North Korea and Bill Clinton was the President of the U.S., the two agreed to meet at a summit meeting. However, the promise of Bill Clinton to visit North Korea never occurred due to change in presidency, George W. Bush getting elected as the president that same year. This year’s agreement was also an uncertain one. With John Bolton becoming Trump’s new national security advisor, voices of concern over the agreed meeting falling apart is rose once more. Still, the agreement has been fixed now, and the two summits, Kim Jong-un and Donald Trump, will meet each other this month. Just a several months ago, tensions between North Korea, South Korea, and the U.S. were high, and there was fear of war on the Peninsula. 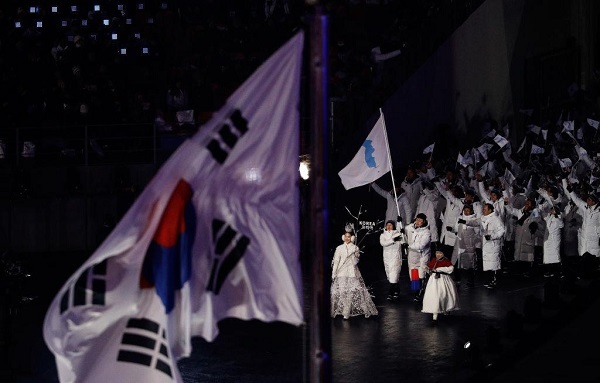 Nearing the edge of a cliff, people looked towards the 2018 PyeongChang Winter Olympics as a final chance to recover relationships between the three nations, especially between the North and South. As many had hoped, the ‘Peace Olympics’ was successful. Through this experience, the world witnessed one of the most strained relations in the world coming to a simmer, without violence, all in the name of peace. The Olympic Games was a forum of peace, proving that gentle power to change the world.